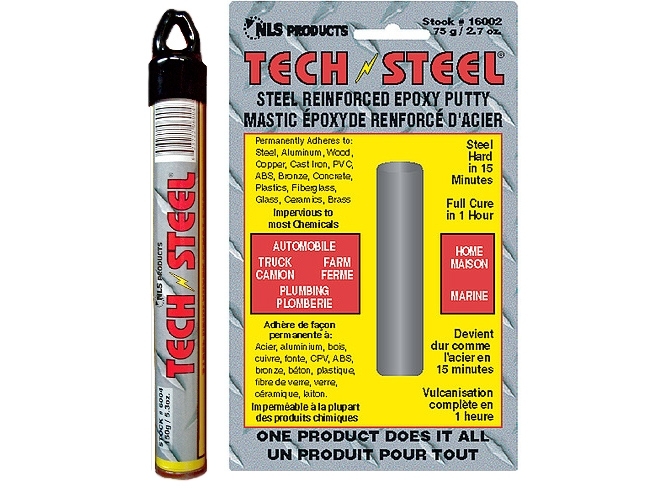 TechSteel epoxy putty can be installed under water, is impervious to most chemicals, and resists temperatures to 260 degrees C.
Use TechSteel epoxy putty for: Auto/Truck, Home, Farm, Marine, Hobbies & Plumbing. 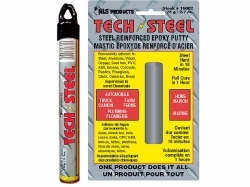 Steel reinforced epoxy putty is used for auto, home, farm, hobbies and plumbing. 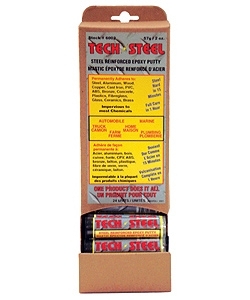 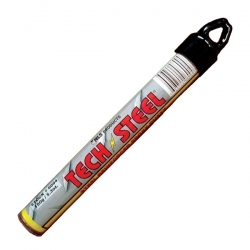 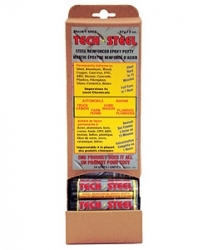 TechSteel is distributed in Canada by NLS Products.